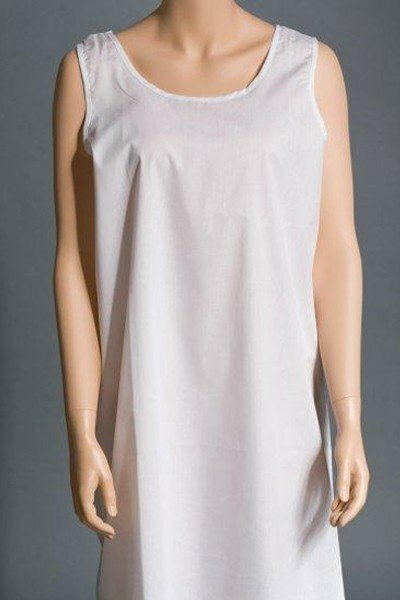 This full cut slip stays put with wide shoulder straps. Cool, crisp cotton / polyester fabric provides year-round comfort. White.